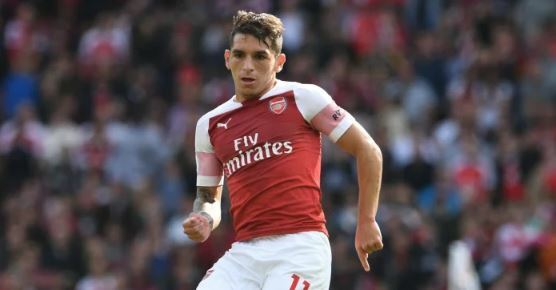 Arsenal midfielder, Lucas Torreira has blamed Unai Emery’s men following their Premier League 3-1 defeat to Manchester City on Sunday. Three goals from Sergio Aguero gave Pep Guardiola’s men all three points against Arsenal. However, Laurent Koscielny did score for Unai Emery’s men at Etihad. Torreira believes Emery’s men should take the blame for their defeat to Man City because they were unable to create chances against the hosts after equalizing 1-1. “It was a very difficult game but we know that Man City are one of the best teams in the country,” Torreira told Arsenal’s official website. “They’ve got some great players and they play some great football. That said, we prepared well and at times during the game we were able to stay with them. We know there are other teams around us fighting for fourth and it’s going to be an intense battle for the Champions League spots, but there’s a long way to go. “We’ve got a great group, very united, and I just think we want to try to improve as much as possible. “Today United have overtaken us. It’s important to turn the page as quickly as possible. This is football, sometimes you win and sometimes you lose.